The Brown Bivisible is a fly that can be seen floating high on the roughness of a busy stream. It is also visible during the last hour leading to dusk and for the fisherman whose eyes have lost the keen edge of youth. 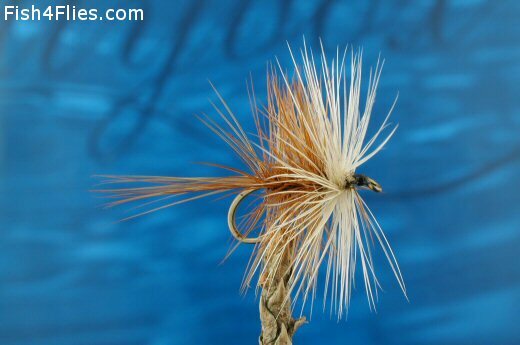 Body : Brown hackle, palmered from front to rear. Rib : Thread or wire, to reinforce body hackle. The white hackle is tied in and placed two turns in front of the brown hackle. Currently there are no comments about the Brown Bivisible fly pattern from other fly fishermen yet.